The center’s staff and faculty will give foster parents, caregivers and adoptive families resources to promote paths to educational success for the children in their care. 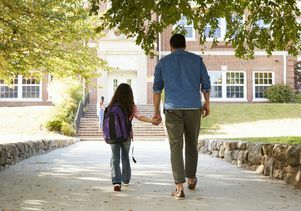 A new center at UCLA will address the needs of children who are disconnected from traditional paths to success, with a particular focus on youth in foster care. The UCLA Pritzker Center for Strengthening Children and Families, which opened in March, is a collaborative hub for research, prevention and intervention efforts that will work to strengthen families and help children avoid entering the child welfare system. The center’s staff and faculty will also aim to give foster parents, related caregivers and adoptive families the skills and resources to promote stable and nurturing families, equitable opportunities and paths to educational success for the children in their care. 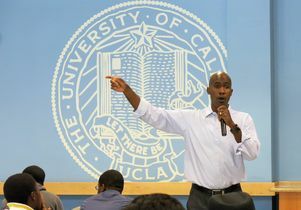 It will address the complex needs of youth in foster care by bringing together resources and expertise from numerous UCLA units, including the Graduate School of Education and Information Studies’ education department, the Semel Institute for Neuroscience and Human Behavior, the Luskin School of Public Affairs’ social welfare department. The center was made possible by a gift of $10 million from the Anthony and Jeanne Pritzker Family Foundation. 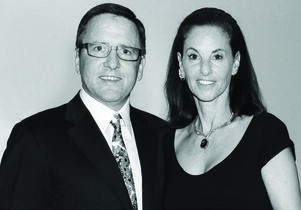 Tony and Jeanne Pritzker are Los Angeles philanthropists and leading supporters of UCLA who have made significant investments toward bettering the lives of foster youth and their families. The center will serve as a catalyst for more effective collaboration between UCLA researchers and nonprofit agencies, other colleges and universities, K-12 systems, children and family advocates, and government support services across Los Angeles County. It will also develop innovative classroom support systems, family support services, and programs that help children affected by trauma and promote resilience; and it will produce new research on issues related to foster care, with an initial focus on the dynamics of race in foster care in Los Angeles County. The center is directed by Tyrone Howard, a UCLA professor of education and GSEIS’s associate dean of equity and inclusion. Howard also is the director of the Black Male Institute at UCLA. The center’s co-director is Audra Langley, an associate professor of child and adolescent psychiatry at the Semel Institute, and the director of UCLA TIES for Families, which serves children in foster care or adopted families. Dr. Patricia Lester, the Jane and Marc Nathanson Family Professor of Psychiatry, and Todd Franke, a professor of social welfare, also serve on the center’s leadership team. “There are nearly 35,000 young people engaged in the child welfare services system in Los Angeles County, including more than 21,000 in foster care, many of whom are struggling,” Howard said. “Issues of race, poverty and gender all play a role in how children and families seek to navigate complex systems for help and hope. The Pritzker Center will help us to better understand their needs and enhance and intensify our efforts to ensure their educational and social success and economic security. The gift also establishes the Pritzker Family Endowed Chair in Education for Strengthening Children and Families at the Graduate School of Education; the position will provide faculty leadership for the center. “With the generous endowment created by the Pritzker family, the Pritzker Center promises to be a lasting resource,” said Marcelo Suárez-Orozco, the UCLA Wasserman Dean of the Graduate School of Education. “The center’s leaders will work collaboratively with those in the nonprofit world and government sectors to develop and identify new rigorous, research-based approaches to better support the needs of foster youth and families. Child and guardian entering school grounds.